My Morning Jacket has given us five albums. It’s a sin to discuss the first four without the words “excellent” and (of course) “reverb,” but it’s arguable that their fifth album was an attempt (and a feeble one at that) to jump genres. With many fans waiting in anticipation for the MMJ of old to resurface in their sixth release Circuital, they don’t impress. Going back to Louisville and recording in full takes, MMJ was able to capture what makes them special; the live experience. Each track is interwoven into itself as a cohesive unit making the chemistry of the band apparent. But, they miss capturing the essence of early MMJ in its entirety. Circuital has 10 tracks that hint at the old MMJ, but are lacking in conviction of who they are. They have set our expectations high enough that it seems they’re struggling to live up to them these days. The effort is noted in Circuital but I was really holding my breath for something spectacular and redeeming. 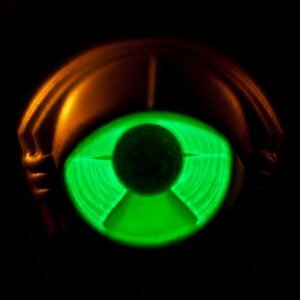 Circuital does deserve wholehearted credit where it’s due and that credit goes to the ability to pull off the feeling of the My Morning Jacket live experience in the studio.